Leah E.A. 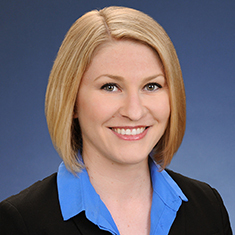 Solomon focuses her practice on entertainment, media and class action litigation. She has advised and represented both individual and entity clients on a variety of matters, including on copyright, trademark and trade dress infringement; contract disputes related to music royalties, music publishing, film finance and many other areas; defamation and invasion of privacy claims; false advertising and unfair business practices; and consumer class actions, both within and outside of the entertainment industry. Leah is also the co-coordinator of Katten's Pro Bono Adoption Program, which is run in partnership with Public Counsel. Shown below is a selection of Leah’s engagements. Defense of recording artists and songwriters against contract claims by royalty participants. Representation of a partner in a music publishing business in litigation involving music publishing royalties. Representation of a major record label and recording artist in a putative consumer class action claiming fraudulent and unfair business practices. Counsel in achieving early dismissal of claims for invasion of privacy and intentional infliction of emotional distress and an award of attorneys’ fees through a successful anti-SLAPP motion in a case against a television production company charged with filming in a private residence without permission. Representation of a major record label in four related putative class actions brought by recording artists and producers alleging breach of contract and unfair competition claims related to digital royalties. Counsel in achieving dismissal of a copyright infringement action against the authors and publisher of a book by a well-known recording artist and songwriter.